There were a few important reports on the U.S. economy released this morning. 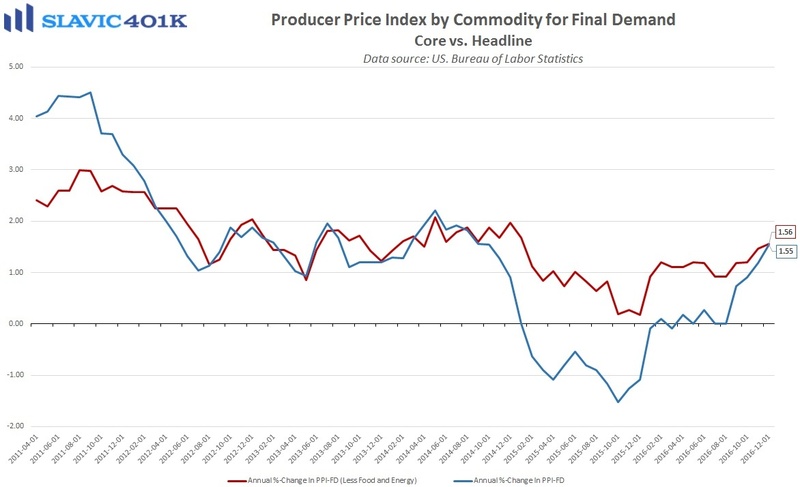 First, data from the Bureau of Labor Statistics (BLS) showed that wholesale inflation pressures in America firmed last month, as the producer price index for final demand (PPI-FD) rose by 0.3 percent. 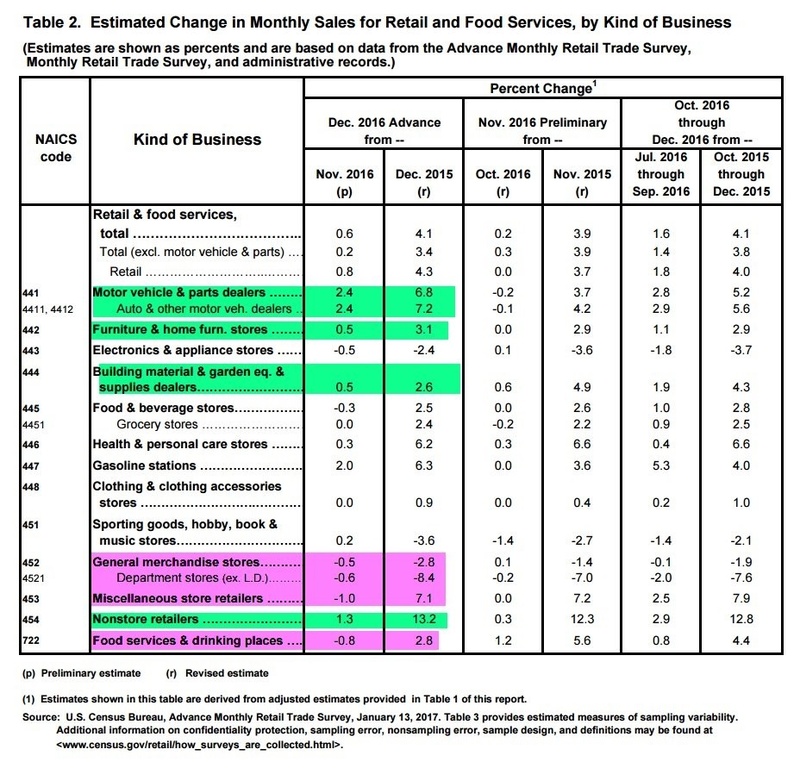 That was in line with economists’ expectations and the third monthly increase in the past four months. A large portion of the headline gain was due to a 4.4 percent advance in the prices of “securities brokerage, dealing, investment advice, and related services,” likely a side effect of retail investors rushing to participate in the stock market as major indices surged to record highs. 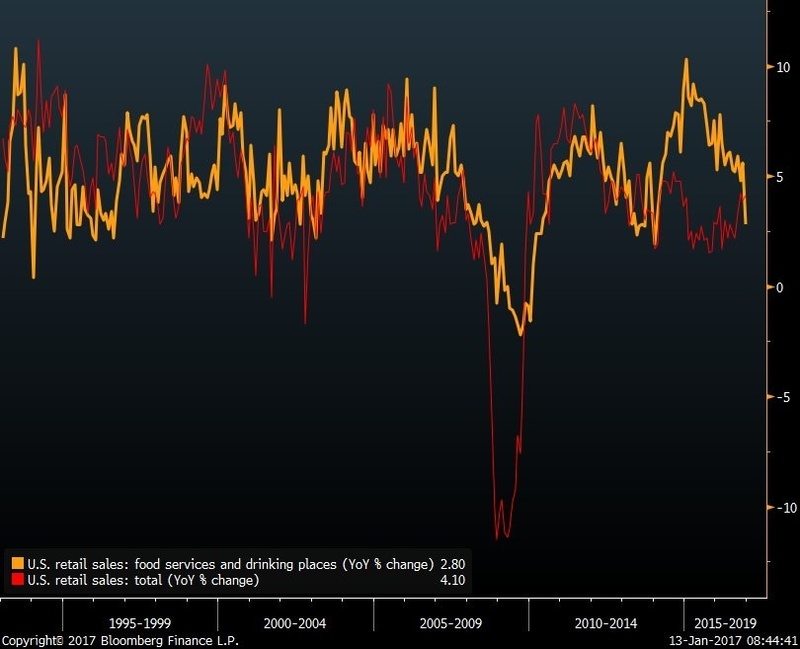 Excluding the volatile food and energy components, wholesale prices still rose by 0.2 percent in December, above the consensus estimate and enough to lift the annual pace of growth to a nearly 2-year high. 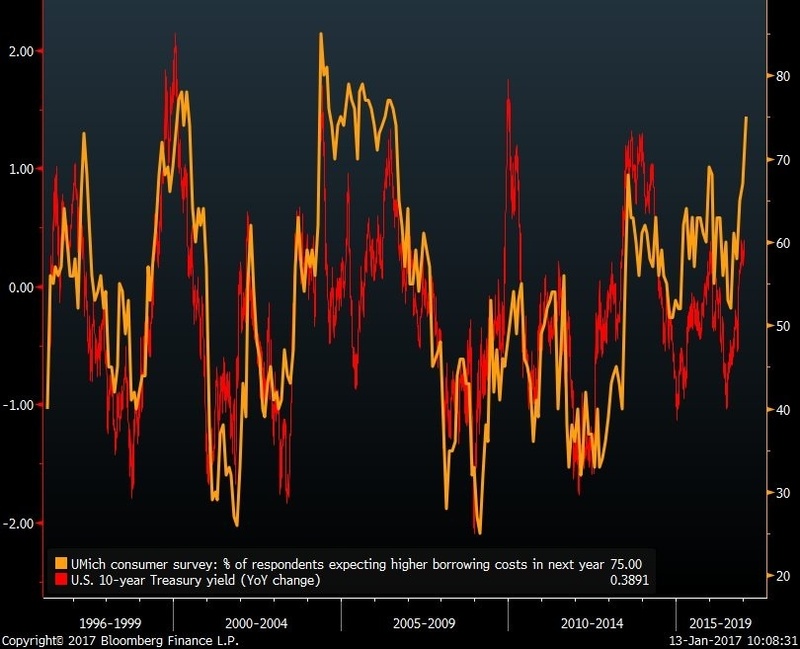 Going forward, a stronger U.S. dollar could help constrain price increases but so far it seems that inflation in the production pipeline will remain on an upward track and help officials at the Federal Reserve justify additional interest rate hikes in 2017. 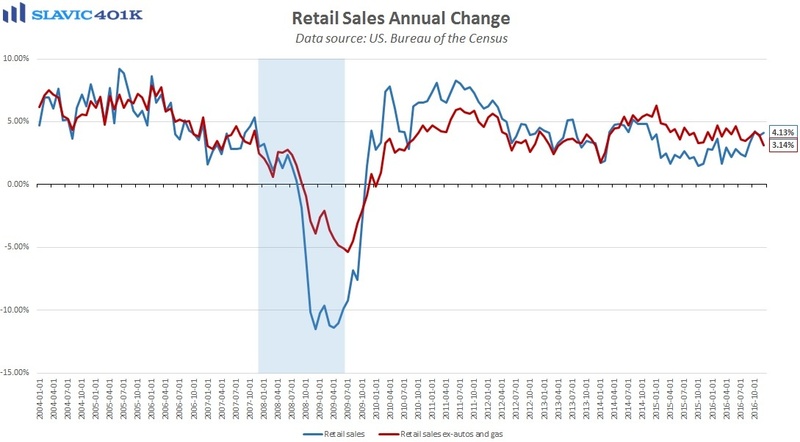 Elsewhere, a report from the U.S. Census Bureau showed that advance estimates of retail and food services sales for December totaled $469.1 billion. That was a 0.6 percent increase from November’s upward-revised print but a slightly smaller gain than economists had anticipated. Most of the headline increase last month was due to a spike in energy prices and stronger demand for motor vehicles. 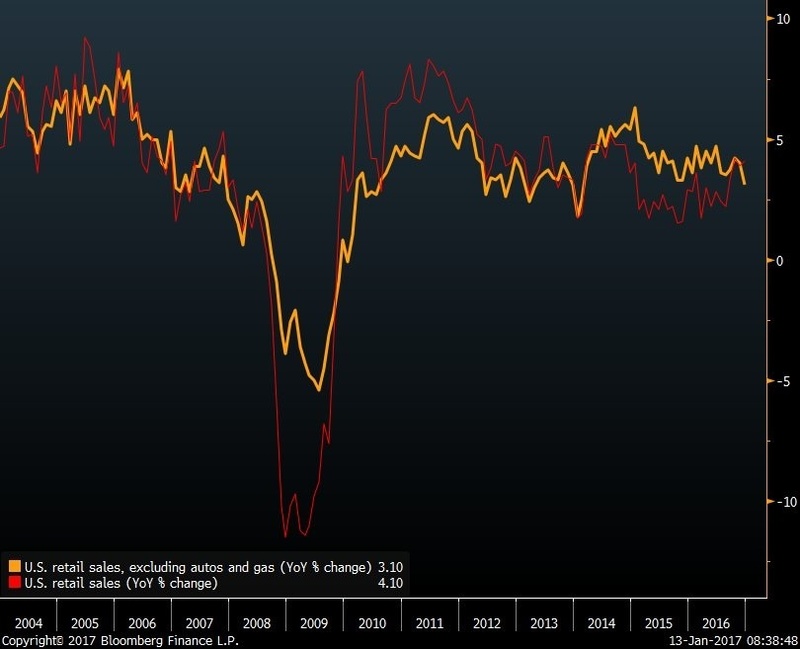 “Core” retail sales, which exclude such volatile components, lifted by just 0.2 percent in December, less than half the gain expected. 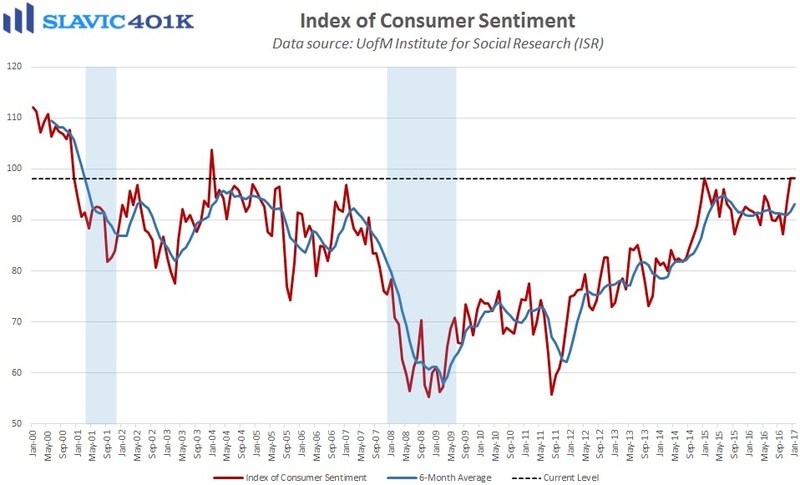 Although some growth is better than no growth, the small increase last month was definitely disappointing following the apparent post-election spike in consumer sentiment. Moreover, sales declined in December at department stores, restaurants, and electronics and appliances merchants but increased at non-store retailers (Amazon), suggesting that Americans were more discount-oriented with their holiday shopping. 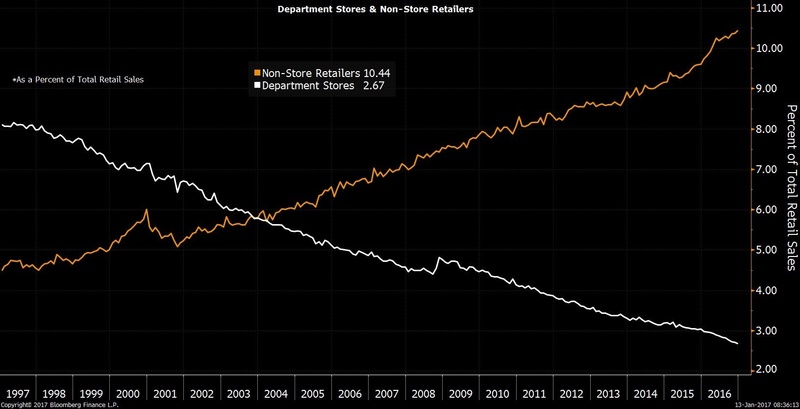 On the bright side, retail sales could easily pick up in 2017 if the labor market continues to strengthen (wage growth), and President-elect Donald Trump delivers on many of the promises for his “first 100 days” in office that have provided the recent boost to consumer optimism.